Location Design Lab 9th floor. An experimental workshop on ceramic decal design. 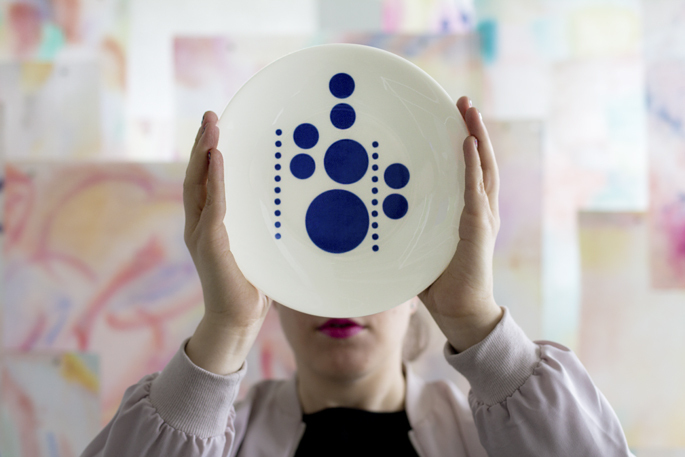 In this workshop, you will create your own ceramic decal design on a plate with help of artist and designer Viivi Lehto . The Iittala & Arabia Design Centre’s Design Lab is the perfect place for exploring design processes and getting creative. We have created specially for the workshops our own decal picture set including letters, circles, dots and color blocks. The color palette is consisted of different shades of blue, gray and complimentary color pink. The participants can create their own patterns by cutting the material with scissors or by making new compositions with the existing forms. 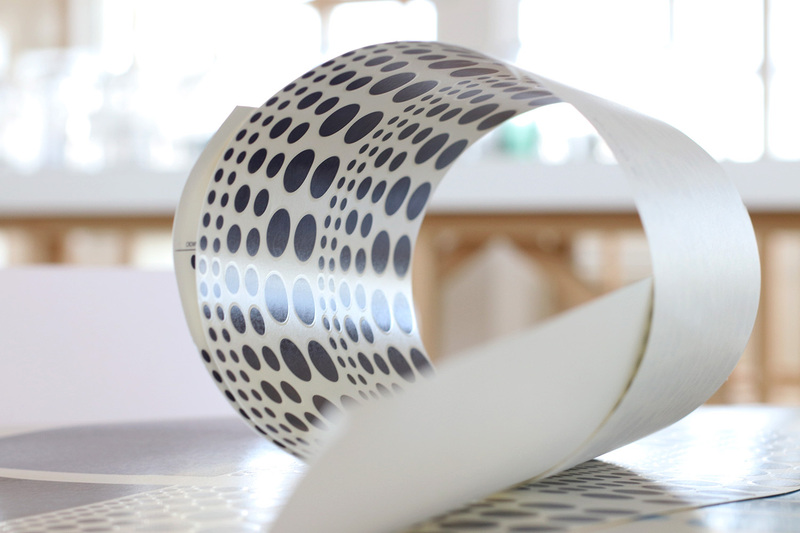 Your decal design is then fused onto a ceramic plate in the kiln of the Iittala & Arabia Design Centre. You can afterwards collect your finished design from the Design Lab. One plate per workshop participant. Please register for the workshop in advance. Please do note, the workshop is tailored for max 20 participants and registration is binding. It is necessary to inform on cancellations at least 3 days prior the class. The minimum number of participants for the course is 6 participants. We will serve tea and coffee. Children under the age of 10 are welcome if accompanied by an adult. The workshop is not suitable for children under the age of 3. Thank you for your registration. We will check the availability and come back with an email to confirm your place.